A detached villa located in a quiet area within easy walking distance of shops, restaurants and the main ‘Strip' of Praia da Oura. 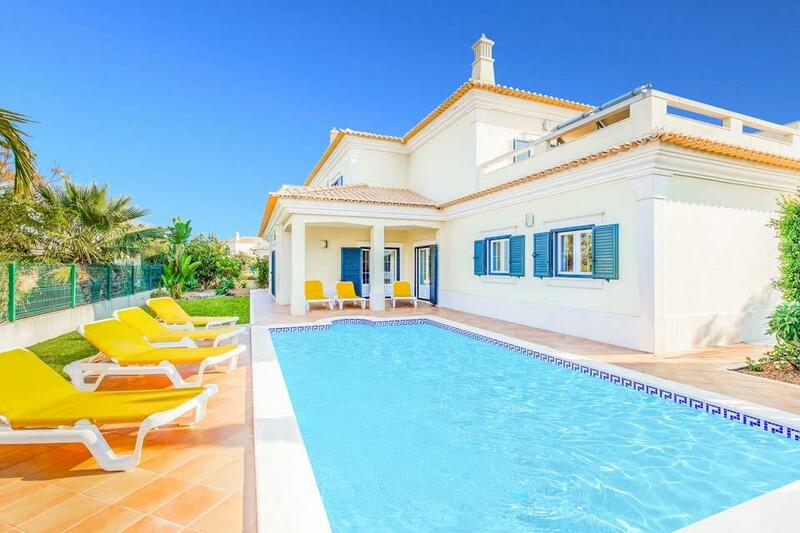 This magnificent four bedroom detached villa is located in a quiet area within easy walking distance of all amenities in the Montechoro area of Albufeira. The famous 'Strip' of Praia da Oura, which is also within walking distance, comprises of one long colourful avenue with a wide range of shops, bars, restaurants and nightclubs to cater for all ages, tastes and budgets. 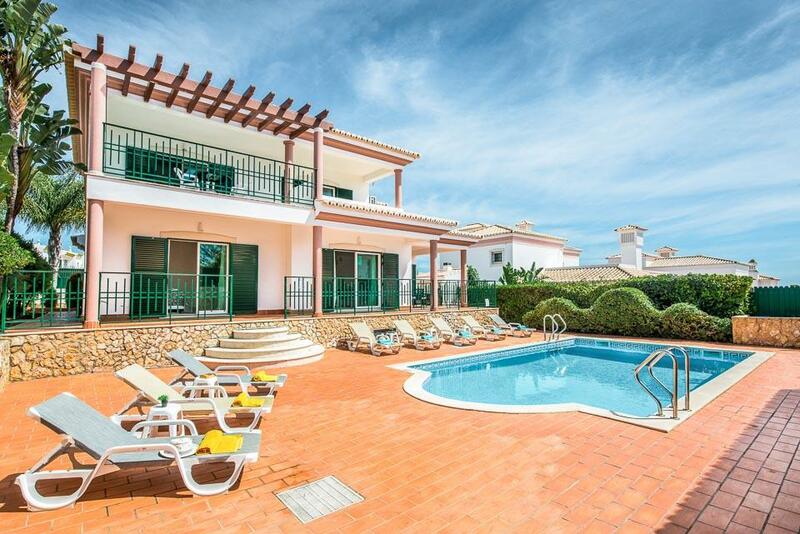 This truly is a fabulous villa, accommodating large families, or 2 families wishing to travel together. The outdoor space is particularly pleasing, with a wonderful large private swimming pool taking centre stage in the sunny garden, the perfect spot for youngsters to cool down during the warmer parts of the day. Just returned from 10 days in Villa Montes, which did not disappoint. We were a family of four and the kids loved the large pool, playing in the grounds and of course the games room was a massive hit! The villa was very spacious, clean and well equipped. Cleaners, pool man and gardeners all visited during our stay and was very pleasant. 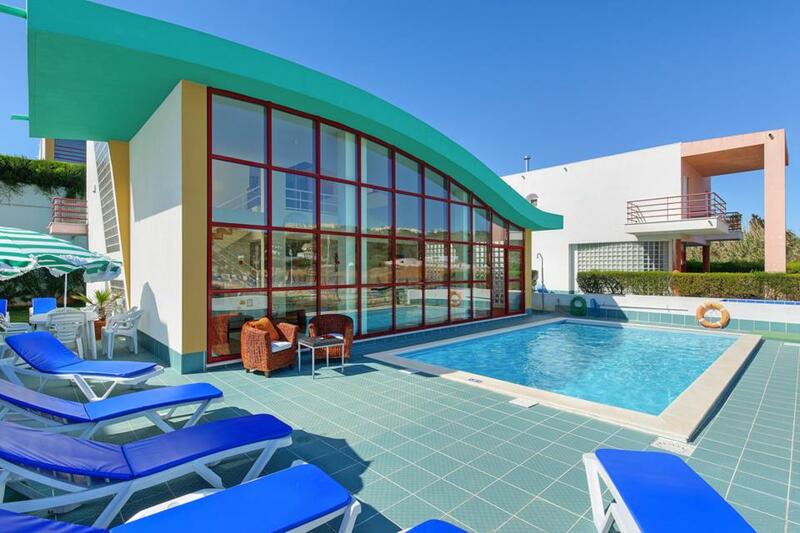 There is a decent sized supermarket just a 10 minute walk away and the lively strip just a five minute walk away. We walked to the old town, taking us approximately 30 minutes but you can jump on the land train or bus. We found that the land train was quite expensive for the short trip back ($11) but the kids loved it! As we had booked the villa we wanted to make the most of it and tended to eat in most days, making good use of the BBQ. We did have a couple of nice meals out and highly recommend a family run restaurant called Stews and More (booking is recommended as it is very popular!). We found a nice bar just a short walk down the strip called O Pirata, a very nice and welcoming local man runs it. Overall we had a very good holiday and would recommend for families and large groups. This villa is wonderful right by restaurant's and bars but in a place where not to much noise. 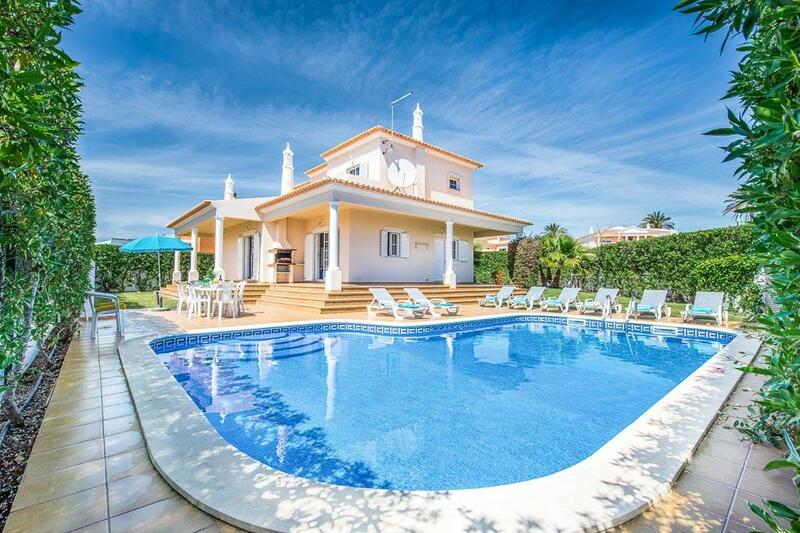 We have been going to Albufeira for the last 20 years and as long as this villa is vacant I will be booking all the time Many thanks to you all wonderful holiday. I loved the area, perfect for the strip, ten minute walk. Yet the villa was in a verry quiet area. Villa was spacious and spotlessly clean. Rep and cleaners we met were very friendly and helpful. When we reported problem with gas burner not working it was fixed quickly. Kids loved the pool - we struggled to get them out of it. We enjoyed stay but felt villa could do with a bit of TLC - fridge / freezer leaking & smelly (we were very careful not to overload as per instructions), dishwasher rack broken, cooker knobs worn so you could tell function or heat setting, some outside lights not working, wifi poor and intermittently non existent. Please be careful to give future guests correct lock box code- numbers were wrong way round on paperwork we were sent. Half an hour spent trying to unlock it in the dark at 1am after 12 hours travelling was not best start to our holiday. Looking back we can see funny side now but future guests may not.... Overall an enjoyable & comfortable stay, but a wee bit of extra maintainance would make a big difference. Nice villa a walk away from the strip, so no car needed. Nice position, lovely pool area. Liked the fact we had fresh towels and the villa cleaned half way through our 7 day holiday. When we had a problem with the TV not working this was sorted quickly and efficiently. A handy location, nice and private and The Old Town was beautiful. 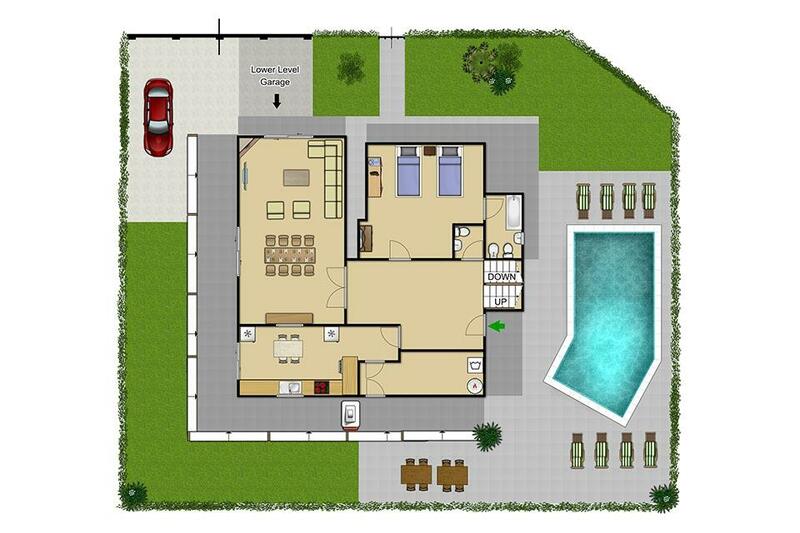 Lovely spacious, well equipped villa, with a great outdoor space. Basement games room is a real bonus. A short walk to a wide range of bars and restaurants, and a couple of supermarkets. Villa was lovely, very clean and spacious, the grounds were kept immaculate. 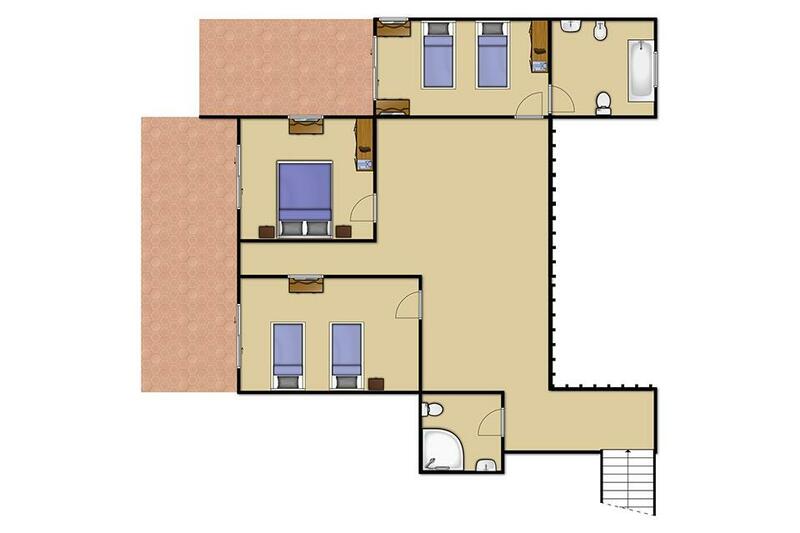 The games room was an added extra. Only negative was the beds were so uncomfortable. The resort was lovely, there was a track right opposite the villa which took you to the strip. If you turned right there, it was so busy whatever the time of day it was, with lots of drunken groups. However, if you turned left, it was completely different, with fab restaurants and much quieter bars, which was perfect for us. Villa was very clean and had good facilities for my family. It was close to shops and restaurants. Pool was very good and the games room was useful when it was too hot outside. Fantastic villa, it is exactly as it appears in the pictures. Great location, we didn't have a car and this was no problem. Lots of bars and restaurants within walking distance and a supermarket close by. I stayed at Villa Montes for a week in April with close family and friends. There were 7 of us altogether including a 3 year old child. The villa was well equipped and nice and clean. The pool table and table tennis downstairs in the basement area was good fun. We have stayed in and around Albufeira / Montechoro a few times over the years and because of the location of this villa, we decided not to hire a car and we did not regret it at all. The Strip is about a 2 minute walk away and it is the 'quieter' end of the Strip so you don't hear much of the noise that goes on. There is a Pingo Doce supermarket about a 10 minute walk away which pretty much sells everything you would need. If you wanted a bit more choice (and may also be a bit cheaper), there is a Mondello supermarket further down the road towards Albufeira Old Town. The Old Town is probably about a half hour walk and I would definitely recommend visiting there if you've not been before. The closest beach is Praia da Oura beach which is at the bottom of the Strip, about a 20 minute walk. Be warned, for those who are as unfit as me, the hill coming back up from the beach is a bit steep! I would recommend this villa. Just wanted to let you know how impressed we were with the villa montes in Portugal which we have just returned from. Thanks very much we will definitely use your company again for villas in the future.